After update why does my database not appear? - Where is my database? - I have updated, but why does my database not appear in the new Notesbrowser? - My database is gone, where could it be? - also notice that the Notesbrowser Setup will never "overwrite" files of your database. So it is save to install a new version over an older one. The database will never be overwritten! 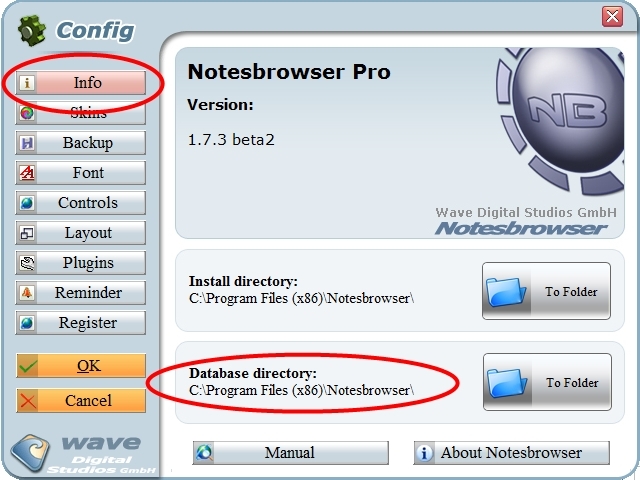 - the disadvantage is, you need to install Notesbrowser Updates in the folder where you have installed Notesbrowser before, or you will have two parallel installations! There is an explicit warning about this in the setup, but we know no one reads this (sic). There is also an explicit warning at the first start of the new Notesbrowser installation, stating that there is a database in a different folder, but we know nobody reads this either..
- This is also where the database is! - in Configuration->Info is also the Notesbrowser version information! 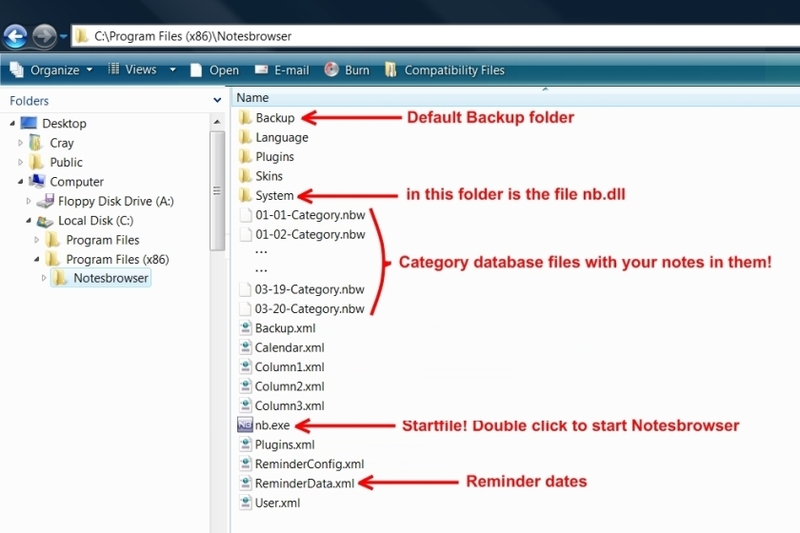 - you can have multiple Notesbrowser installations in different folders on your PC, you can have multiple databases! - a common problem is that you have installed one Notesbrowser in C:\Program Files\Notesbrowser and another in C:\Program Files (x86)\Notesbrowser which are different folders! 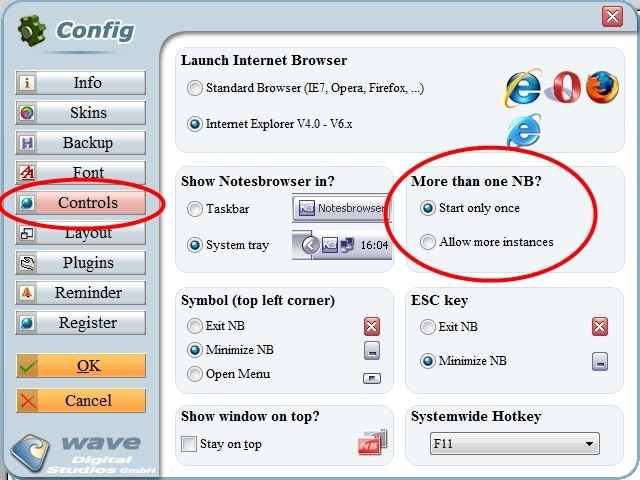 - if you have multiple Notesbrowser versions installed, they will prevent each other from starting! This is designed so and can be turned off in the configurations. But in the default configuration only one Notesbrowser shall run at the same time and so you need to understand that if you start a second instance, the first instance(!) will be brought to front and the second instance will not start at all! 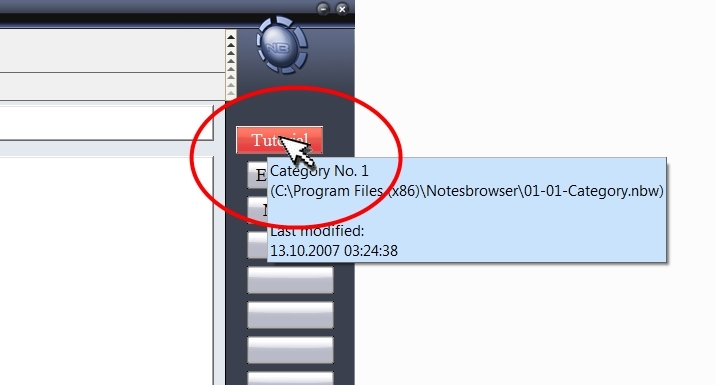 - if you install a new Notesbrowser version in an empty folder, a fresh database will be generated. In this database a Tutorial will be loaded. This happens really only if you install in a empty folder and is for new users. If you want to import your database this is a bit confusing, but keep in mind that the content is auto generated for new users and can be deleted. What to do if you have multiple databases? - you need to inspect the databases to find out what they contain, the mentioned tool above does this for you! Attention! The database you target with the backup will be overwritten! Before you start -> make backups of all folders in which a Notesbrowser database is - just in case you are copying in the wrong direction! I repeat: Do a backup now! 2) Start the Notesbrowser where the database is missing or can be deleted -> the Notesbrowser you want to keep, but does not has the correct database! 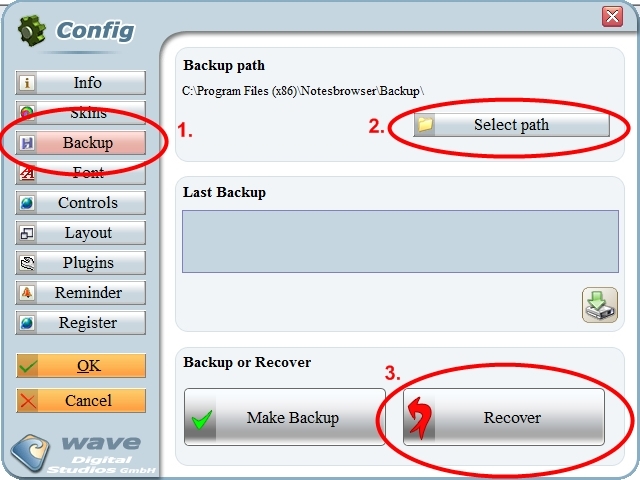 You should change the Backup/Restore path now to some other location where the backup makes sense (I recommend a different hard disk). 3) Finished! The Notesbrowser shall have all the wanted data. For comments to this tutorial, please answer to this thread!